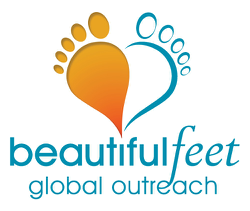 Beautiful Feet Global Outreach offers a monthly newletter to subscribers. We welcome you; and should you subscribe you will receive the e-newsletter via email to the address that you provide in form to the left. The newsletter is a great opportunity for subscribers to keep up with the latest BFGO news and Should you desire more detailed information on our subscribing policies please contact us.